In this interactive class, we roll up our sleeves and get to reading. Intended to deepen an understanding of the cards through personal, practical exploration and application, this isn't about reading for others. Gazing Into the Mirror: Self-Reflective Tarot is both about learning a range of different spreads and learning how to apply the Tarot to your own life. 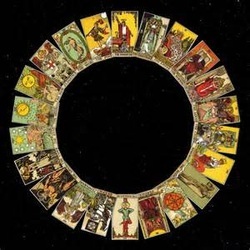 Learn about the Tarot. Learn about different spreads. Learn about yourself.